Elegant comfortable outdoor chair with an optional coffee table. 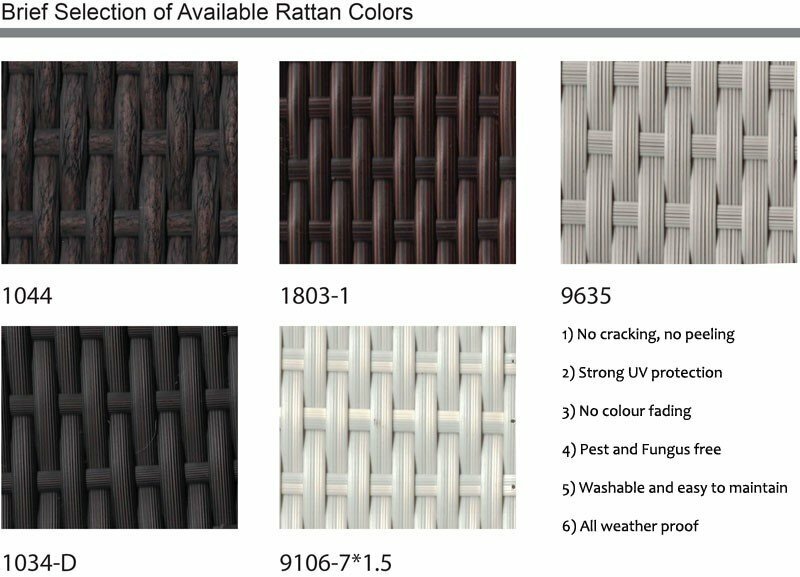 You can choose from different kinds of rattan and water resistant fabric. In our outdoor family product line. We offer this amazing dining chair set. With optional clear 5mm glass top table. It comes with 5cm cushion and 50x50cm Pillow.